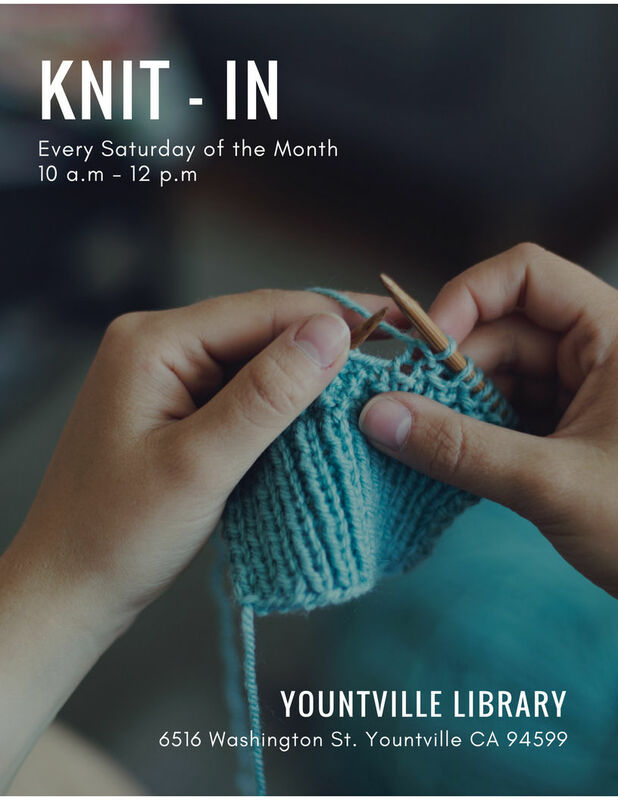 Come join the community of knitters at the Yountville Library every Saturday morning. Whether you're a beginner or an expert, you'll enjoy the camaraderie of sharing a morning with other knitters. See what others are working on, get advice from other knitters, learn new techniques, and share your own work.